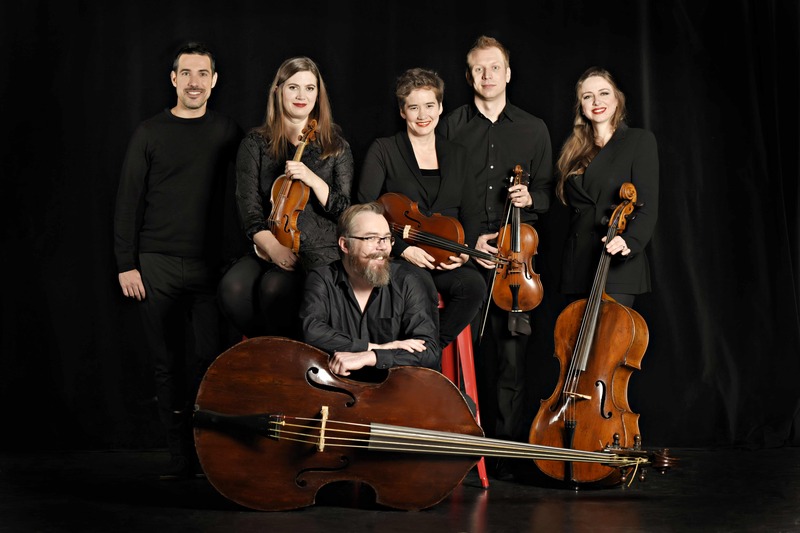 Composed of a core of 6 instrumentalists specialized in baroque music, Ensemble Masques is renowned for its expressiveness, eloquence and the depth of its interpretations. The name of the group is inspired by the masques of Elizabethan England — dramatic entertainments that incorporated music, dance and poetry. Renowned as much for their expressiveness and vitality as for their integrity and precision, Masques is an ensemble which fully embodies the dynamic spirit of the Baroque. The name of the group is inspired by the masques of Elizabethan England — dramatic entertainments that incorporated music, dance and poetry. The six members of Masques each have impressive individual careers, with a collective résumé that encompasses a prestigious roster of international early music ensembles. When they come together, their combined breadth of experience is felt in an uncommon interpretive depth, bound together by an equally uncommon chemistry which continues to mesmerize audiences and critics alike. A chamber group without conductor, Masques benefits from the creative involvement of each member. Their shared curiosity has lead them, and their audiences, along an ever-evolving path of discovery. From their deep immersion into the fascinating world of 17th century German music, to the unveiling of Telemann’s universalism, humour and humanism, to their interest in the initiatory journey of “The Grand Tour,” Masques’ artistic choices are underpinned by the same appetite for trade, blending, borrowing and mixing that was the very breath of the Baroque era itself. It is a spirit reflected in the diverse nationalities of Masques’ musicians, who hail from Australia, Belgium, Canada, Finland and France — and through their playing, made new. Masques’s concert schedule has taken them to Germany, Italy, France, Portugal, Spain, Poland and Austria; to The Netherlands at Amsterdam’s Musiekgebouw and Utrecht’s renowned Early Music Festival; to Belgium at Brussels’ Bozar, Antwerp’s AMUZ and Gent’s Bijloke. They have also appeared in most major centres in Canada and the United States, including New York, Toronto, Montreal, Vancouver and Los Angeles. Upcoming projects include concerts as part of the Folles Journées en région, in Nantes & Tokyo, the Cité de la Voix in Vézelay, the Festival de Saintes, the Heidelberger Frühling, the Festival de Wallonie and a tour of the United Kingdom & Finland. An exclusive artist for the ALPHA label, their discs dedicated to17th century Austrian composers Johann Heinrich Schmelzer and the almost unknown Romanus Weichlein have enjoyed unanimous critical praise, between them receiving the Diapason d’Or, the “ffff” Telerama, the two “Chocs” de Classica and Gramophone Magazine’s “Editor’s Choice” award. Most recently, they have celebrated the music of Georg Philipp Telemann with an acclaimed recording of his Theatrical Overture-Suites, in honour of the 250th anniversary of the composer’s death in 1767. Other critically acclaimed albums have been recorded on the ATMA, Dorian and Analekta labels. Two forthcoming recording projects for ALPHA are slated for release in 2019. 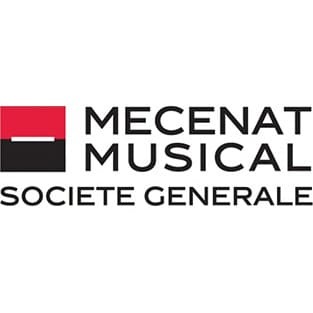 Mécénat Musical Société Générale is the primary sponsor of Ensemble Masques. OLIVIER FORTIN graduated with distinction from the Québec Conservatory in 1995. He continued his training with Dom André Laberge, obtained a Master Degree from University of Montreal under the direction of Réjean Poirier, and received several scholarships for studies in Paris with Pierre Hantai and in Amsterdam with Bob van Asperen. In 1997 he was awarded top prizes at the Montreal Bach Competition and the Bruges Festival. Olivier Fortin is in demand as a soloist and chamber musician, touring and recording throughout Europe, China and South Korea, the United States and Canada with Masques, Capriccio Stravagante and Tafelmusik. 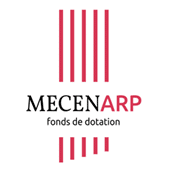 He also performs with Skip Sempé and Pierre Hantaï in programs of music for two and three harpsichords. Olivier Fortin is the founder and director of the Ensemble Masques. From 2004-08 he taught harpsichord and chamber music at the Conservatoire de Musique de Québec, and he currently teaches at the Tafelmusik Summer Institute in Toronto. Australian-born violinist SOPHIE GENT studied at the Royal Conservatory of The Hague with Ryo Terakado. Currently living in France, Sophie is in high demand as an orchestral leader and chamber musician throughout Europe and abroad, and appears regularly with Ensemble Masques, Orchestre Pygmalion, the Ricercar Consort, Ensemble Arcangelo, le Caravanserail, and the Orchestra of the Collegium Vocale, amongst others. Professor of baroque violin at the Amsterdam Conservatorium from 2011-14, she has also given masterclasses at the Antwerpen Conservatorium, the Jerusalem Early Music Workshop, the Abbaye aux Dames in Saintes, and at the Early Music Academy in Vannes. She is currently on faculty at the Conservatoire of Boulogne-Billancourt. Sophie plays a violin by Jacob Stainer from 1676. Praised for her “fire and chamber music smarts” (Globe and Mail), Canadian violinist and violist KATHLEEN KAJIOKA maintains a varied career, moving easily between musical worlds ranging from early to modern, from pop to Middle Eastern. 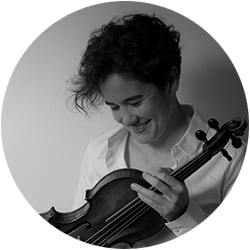 Since returning to her home town after studies at the Eastman School of Music in Rochester, NY, Kathleen has been a fixture in Toronto’s Early Music scene, touring and performing with Tafelmusik, Aradia, and Toronto Masque Theatre, and in Montreal as principal viola of Arion Baroque, among others. 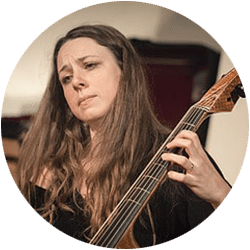 As a member of Ensemble Masques, she has appeared throughout Europe, Canada and the US, and recorded several award-winning albums on the ATMA, Alpha and Zig-Zag Territoire labels. 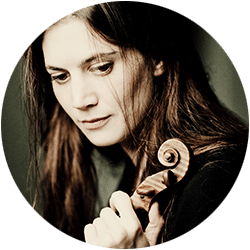 She enjoys revisiting her maternal roots in Iceland, where she has served as concertmaster of the Reykjavik Chamber Orchestra and guest director of the Skálholt Bach Consort. She teaches Historical Performance at the Royal Conservatory of Music’s Glenn Gould School, and brings all her musical experiences to bear in her role as broadcaster and co-music director at the New Classical FM in Toronto, and as host of “The Concert Series,” airing across Canada on Vision TV. MÉLISANDE CORRIVEAU, critically acclaimed for her exceptional musical mastery, “belongs to a new generation of players bringing formidable performing skills and knowledge of period practices…” (Gramophone). She is a core member of Ensemble Masques, Les Voix Humaines, Bande Montréal Baroque, Sonate 1704 and Les Boréades. Her discography numbers over 40 titles on the ATMA Classique, Analekta, Harmonia Mundi, Paradizo, Zig‐Zag Territories and Alpha labels. A rare specialist in the pardessus de viole, her recent duo release with harpsichordist Eric Milnes featuring the 18th century French repertoire for the instrument was named among the 10 best classical discs of the year (2016) by CBC Radio, and was selected as Classical CD of the Year by Radio Canada. She is co-founder and Artistic Director of the ensemble L’Harmonie des Saisons, whose debut CD release ”Las Ciudades de Oro” (Cities of Gold) was the 2016 winner of the coveted Canadian JUNO Award for best classical CD of the year in the vocal and choral category. 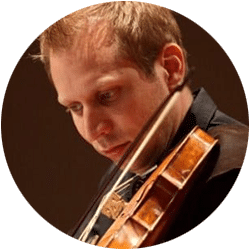 TUOMO SUNI studied baroque violin in his native Finland with Kreeta-Maria Kentala before attending the Royal Conservatory in The Hague, studying with Enrico Gatti and graduating with a master’s degree in 2005. Tuomo’s professional life has largely centred around chamber music, performing and recording with international ensembles including Opera Quarta, Ensemble Masques, Capriccio Stravagante and Ricercar Consort, with whom he has won several awards, including the Diapason d’Or for Opera Quarta’s cd of Leclair trio sonatas in 2007, and Ensemble Masques’s Romanus Weichlein cd in 2015. Tuomo is premier violon of Vox Luminis, principal second violin of The English Concert and leader of Hallgrímskirkja International Baroque Orchestra. He plays and records regularly with many other orchestras including Helsinki Baroque Orchestra, The Early Opera Company, Dunedin Consort and Bach Collegium Japan. A musician through and through, BENOIT VANDEN BEMDEN is a much sought-after double bass and violone player, equally active in orchestral and chamber music. A founding member of the Brussels-based baroque orchestra Les Muffatti, he is also a member of Ensemble Masques and the Hathor Consort. He collaborates regularly with Vox Luminis, Ricercar Consort, Capriccio Stravagante, Stradivaria, Le Caravansérail, Il Gardellino, and Gli Angeli Genève, among others. 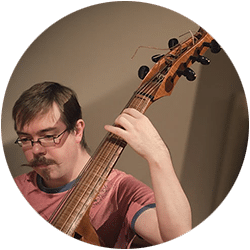 After completing studies at the Royal Conservatory of Brussels under Christian Vanderborght, Benoît quickly turned to Early Music and historically informed performance practice. 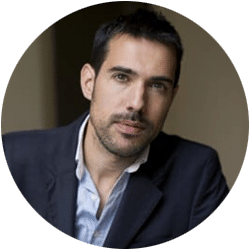 In 2002 he earned a Diplôme Supérieur in chamber music, with distinction, from the Conservatoire Royal de Mons, and completed his Master of Music degree in violone at the Royal Conservatory in The Hague. He teaches historical double bass and violone at the Académie de Musique de Woluwe-Saint-Lambert (Brussels). A true foodie, Benoît takes full advantage of his time on tour to explore the local cuisine, sharing what he discovers on his blog, “Ripailles et Passacailles.” And he never forgets to pack his tango shoes !